Grilled Beef Steak Served With French Fries And Vegetables On A White Plate. Banco De Imagens Royalty Free, Ilustrações, Imagens E Banco De Imagens.. Image 54696052. 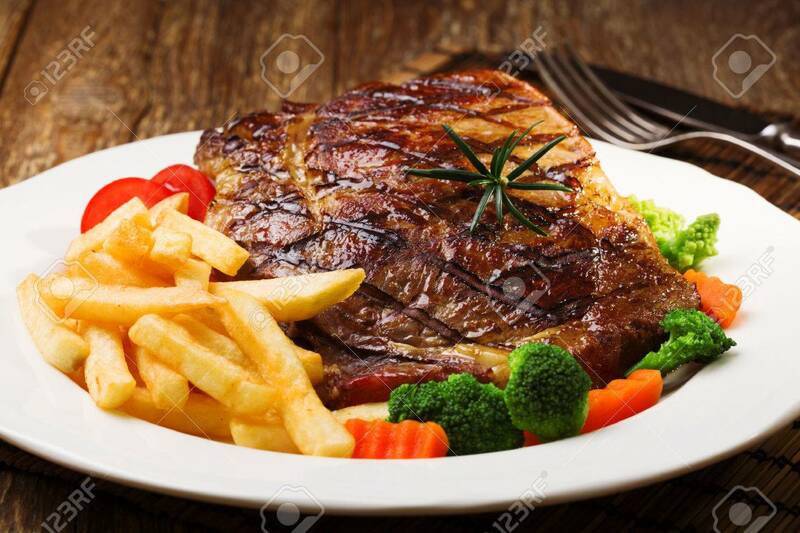 Imagens - Grilled beef steak served with French fries and vegetables on a white plate.